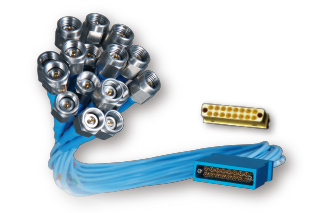 Multi Port Cable Assembly with very small pitch : TMNP series – Shibata Co., Ltd. The TMNP Series 16-port cable connector assembly is an assembly with very small pitch. This assembly is capable of high-speed transmission throughout a range 67GHz. Through this assembly, Totoku contributes to increased high efficiency for the evaluation boards and development of IC chip suppliers. 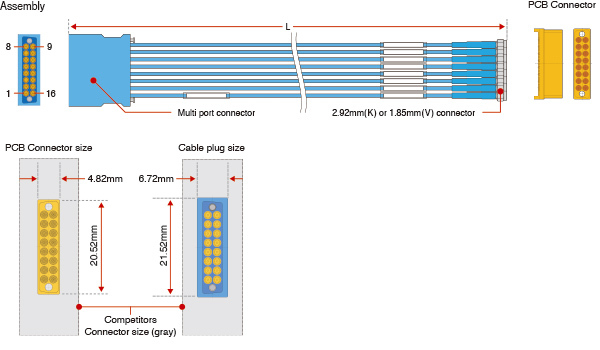 TCF128 is the cable designed for this assembly. The cable is low-less, low-reflection, and highly flexible. 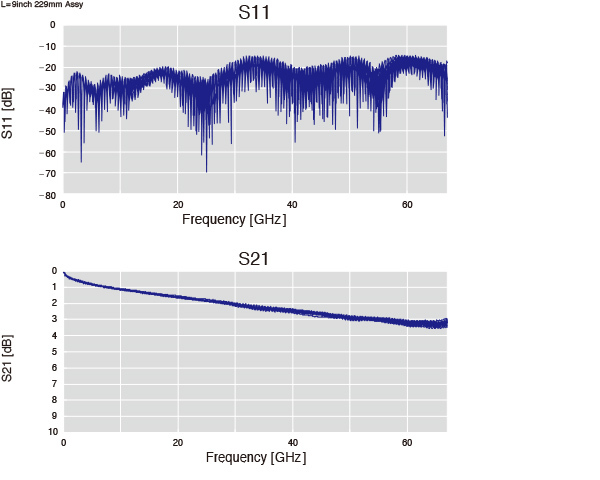 It is capable of transmission in a range of 67GHz or more. ※we support the 16-pin design, while the 8-pin design currently in development.